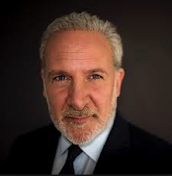 Peter Schiff On The Markets: Federal Reserve: If They Don`t Buy U.S: Treasuries, Who Will? Federal Reserve: If They Don`t Buy U.S: Treasuries, Who Will? If they don`t buy treasury bonds, who will? The biggest buyer of treasury bonds in the world is the Federal Reserve. After that, you have other central foreign banks like China and Japan but there are no real buyers , in fact the hedge funds have been big buyers out of the Caribbean but why would hedge funds buy U.S. Treasuries when the yields are not even 3 percent? I mean nobody pays 2 & 20 to buy Treasuries. The only reason hedge funds are buying treasuries is because they are levered up, they are gambling.